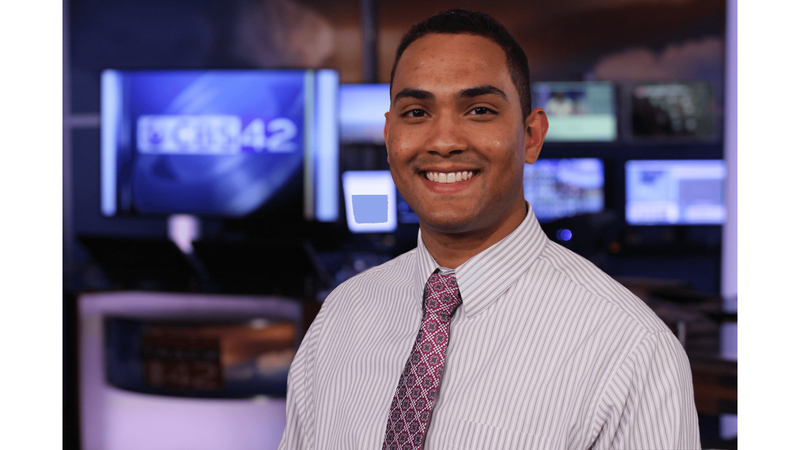 Cameron Edgeworth rejoined the CBS 42 News team in March 2018 as a general assignment reporter. Cameron was born and raised in the Birmingham and grew up in Clay, Alabama. He graduated from Clay-Chalkville High School in 2011. He then went on to earn his bachelors degree at The University of Alabama at Birmingham. Cameron studied mass communications broadcasting and social work. Cameron always knew he wanted to be a television news reporter from young age. His family gave him the nickname 'CNN' for 'Cameron News Network' because he was all reporting to his family about everything happening in the community, school, and within the family. Before reporting at CBS 42, Cameron worked as a general assignment reporter at our sister station WKRG News 5 in Mobile, Alabama. While he was there he flew with the Hurricane Hunters into the eye of Hurricane Irma as it approached Cuba and headed into Florida. Cameron worked at CBS 42 as a traffic reporter and morning show producer before moving to Mobile. Cameron is excited to be back in Birmingham. He enjoys hiking, reading, and trying all the great restaurants Birmingham and the surrounding cities have to offer. Feel free to reach out to Cameron with any story ideas by sending him an email at cameron.edgeworth@wiat.com or messaging him on Facebook.